Android 6.0 Marshmallow is poised to take the mobile OS market by storm. As always, Google has implemented a number of useful features into the new OS which make it more robust and functional than what has come before. Many of the improvements, in fact, work to address issues that users brought up with Lollipop. Here are some of the new features:  Changes to the apps menu &#x2014; This is one of the biggest design changes that Marshmallow brings to the table. Rather than having a focus on different pages which hold the apps (and are shifted through a horizontal flick), all of the apps are stored in a single, vertical, page which can be searched all at once using the thumb. It resembles the apps menu which is presented in Windows 10 rather than the one presented in Lollipop. 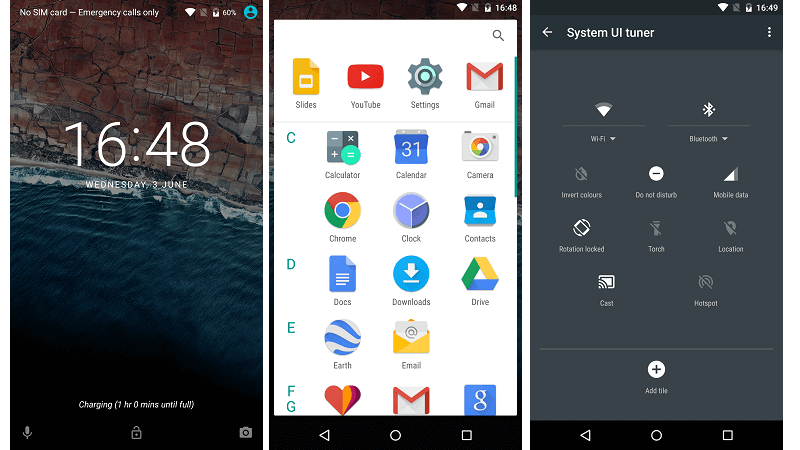 Changes to the apps menu – This is one of the biggest design changes that Marshmallow brings to the table. Rather than having a focus on different pages which hold the apps (and are shifted through a horizontal flick), all of the apps are stored in a single, vertical, page which can be searched all at once using the thumb. It resembles the apps menu which is presented in Windows 10 rather than the one presented in Lollipop. Search bar for apps – Again, this is a new addition. Adding a bit to the functionality of the new apps menu, there is no a search bar which you can use to search through your apps. This bar is located at the top of the app menu. Battery optimization functionality – Users now have the ability to customize their battery optimization functions from app to app, rather than for the entire device. This is particularly useful for apps which have a habit of running constantly in the background and draining battery power from devices. Design changes – For one thing, the clock has been redesigned to allow for a fresh and sharp approach. Other design changes have obviously been implanted as well, but this one is the most glaring and up-front. Memory manager – Finally. The settings menu will now have a memory section which allows users to make changes and monitor their memory usage. Lollipop had a number of performance issues for phones that were not loaded down with extra RAM. Native support for fingerprint scanning – Users will no longer have to rely on the hardware manufacturers to provide the software for these types of scanners, which have become standard in recent years on Android devices. Permissions are now at point of use, rather than upon install – This is a welcome change. No longer do you have to grant global access to your device when you install an app. Marshmallow looks like it will be a strong contender to compete with iOS9 and Windows Phone. For the most part, the changes that have been implemented between Lollipop and Marshmallow have all been significant. The improvement to the apps menu, in particular, is a welcome change from what was provided in the past. The addition of battery optimization tools and a dedicated memory manager fill a huge performance gap that was left on the table for other mobile operating systems to take advantage of. Marshmallow should be a welcome improvement and a strong contender in the mobile OS market.